Need a bit of help? Here are step by step photo instructions showing how to make basic fried rice. 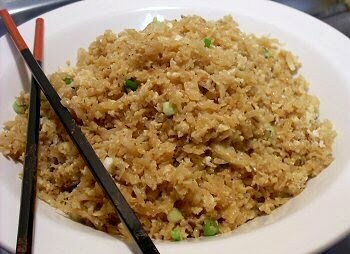 The Basic Fried Rice recipe has an average rating of 4.7, based on 42 reviews. My love, My favorite, Hoegaarden Brewery. One summer early evening, something captured my and my friends' eyes on the way back home after we finished a class. that is; Hoegaarden draft beer pub!! I can't forget the day's memory. Blowing cool breeze, with the setting sun, a cup of cold Hoegaarden beer quenched our thirsty at once. The taste was a bit sweet and fragrant too. Anyways it couldn't have been better! Hoegaarden is a Belgian brewery. Its origin date back to 14th century and it is named after the village 'Hoegaarden' in Belgium. This beer has some unique ingredients, coriander and dried Curaçao orange peel known as Laraha, so it has softly sweet and fresh flavor. In addition to that, it has the natural golden cloudy color because of the secondary addition of yeast. 01. Pouring: pour in cool glass(for Hoegaarden only). 02. Shaking: shake the bottle two or three times to mix the remained of yeast. 03. Pouring till the end: pour till the tip of the glass (around the logo). Ramen with Fried bean curd; Nutritionally balanced food for U. "Ramen with Fried bean curd"
You need the food that are good for your health? Here is the best food for U. 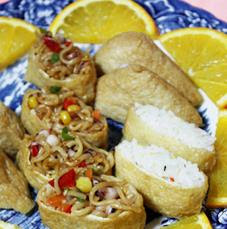 It is delicious and it takes just 10 mins! (4) Then put Squid, ramen and Corn and fry them too! You can make special food in simple ways! Let's try to make the typical specialty dish of Spain, Tortilla de Patatas. 1. Pour olive oil in a pan(skillet) to cover the potatoes. 2. Heat the oil over medium heat. 3. Add potato pieces and onions into the oil, and Fry it. 4. Beat eggs in a bowl and Salt to taste. 6. Pour oil in a pan a little, and Pour the mixture in a pan and Cook. 7. Flip the pancake over by using a plate of a pan size.